Mysuru: JD(S) Corporator B.M. 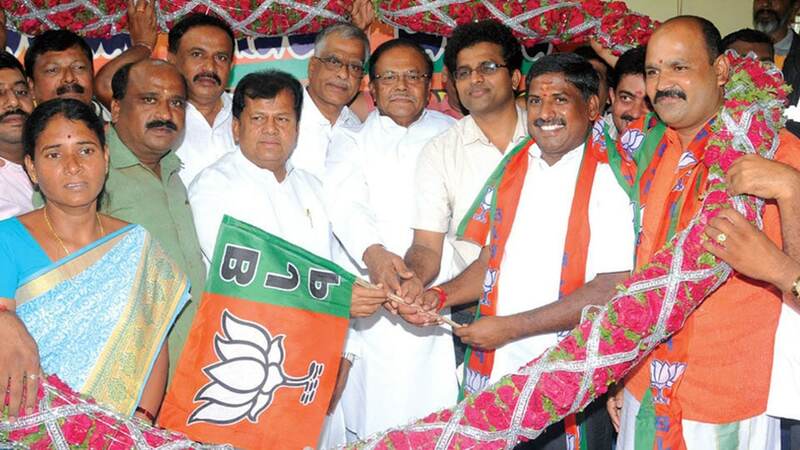 Nataraj joined that BJP in presence of Backward Morcha State President B.J. Puttaswamy at the party office located at Nazarbad on Friday. Speaking to Star of Mysore, Nataraj said that he was quitting JD(S) as the leaders had neglected him and added that he would be submitting his resignation to party members on Tuesday. District BJP President Kote M. Shivanna, City BJP President Dr. B.H. Manjunath, Deputy Mayor Ratna Lakshman, Chamarajanagar BJP President Prof. K. R. Mallikarjunappa and others were present during the occasion.